How to apply for unpaid leave from work? Use this perfectly drafted Request Unpaid Leave Of Absence that fits your needs! Please note this template is provided for guidance only. Download this Request Unpaid Leave Of Absence template to write a perfect (and personalized) letter, edited to fit your personal situation. 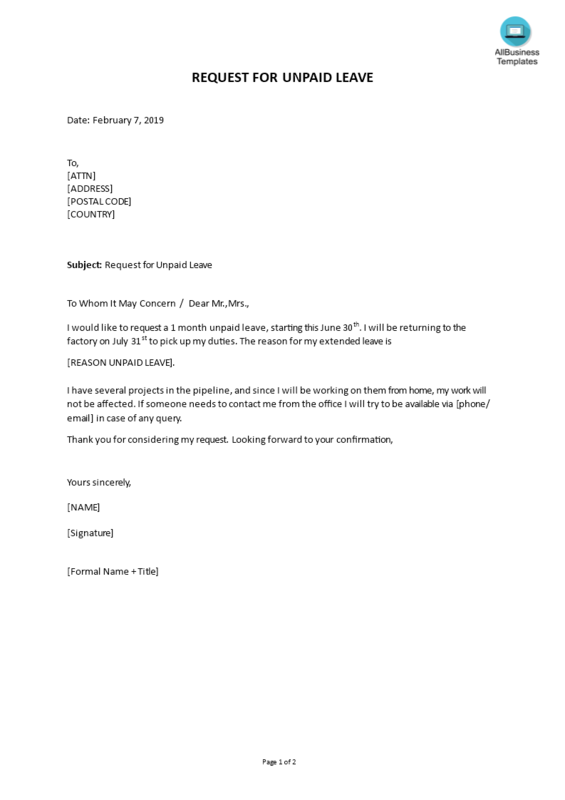 If this request letter does not fit your requirements, please also have a look at the topic: Leave of Absence letter templates.